A wedding venue speaks volume of a couple’s personality and style, while a hotel ballroom may be ideal for a banquet set up, there’s only so much you could do with the decorations to spruce it up according to your preference. 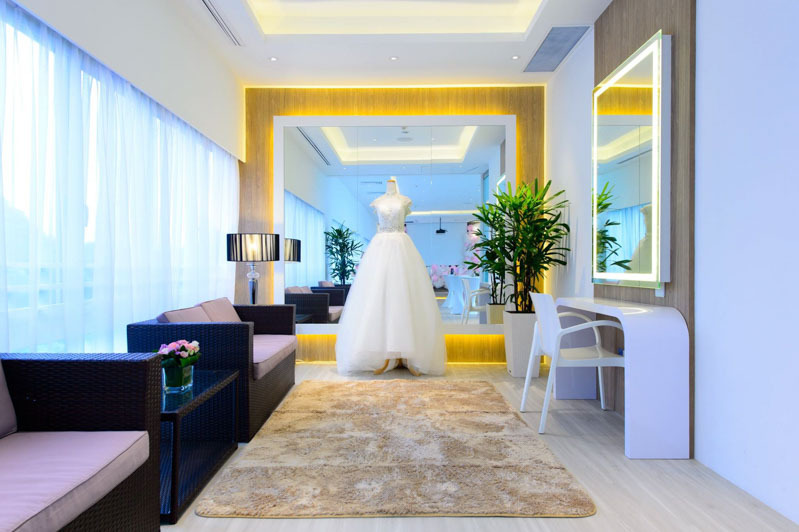 These days, I’ve seen more couples opting to hold their wedding ceremony and reception in restaurants and cafes just for that little more splash of personal touch — it could be a place where you had your first date, or a venue that comes furnished with all that glitz and glamour. While I’m doing a little research for my own future dream wedding, here’s a list I’ve compiled that made it into my top classy wedding venues. Located in Phoenix Park, Boufe blends simplicity with serenity. The clean, minimalistic decor juxtaposes wonderfully with the lush green outdoors, making it a venue that is oh-so-Instagrammable and pretty for weddings. The al fresco area can be decorated simply with flowers and and paper pom-poms, and bam, it is all set to create a memorable event of a lifetime. 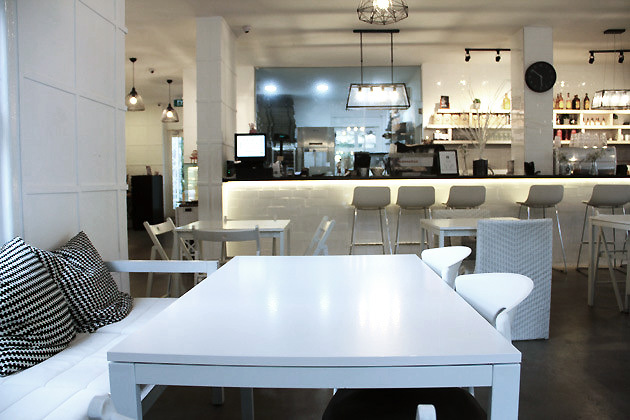 The indoor area can accommodate a range of 40 to 44 seated guests, and 20 seated guests at the patio. Senso Ristorante & Bar hides a whimsical courtyard within its facilities that would make for a dreamy walk down the aisle. Cozy and charming, The Courtyard holds up to 24 persons when seated, and 60 persons for a standing ceremony — just about the right size to host family and loved ones. Dusk falls and the place takes a magical turn when the fairy-lights are switched on. Imagine how lovely your wedding pictures will turn out with guests enjoying the night amidst a bokeh-filled backdrop. The Courtyard could also be used for solemnisation before adjourning to the Main Dining Room for reception, which can accommodate 100 persons for a seated down event or 150 persons standing. 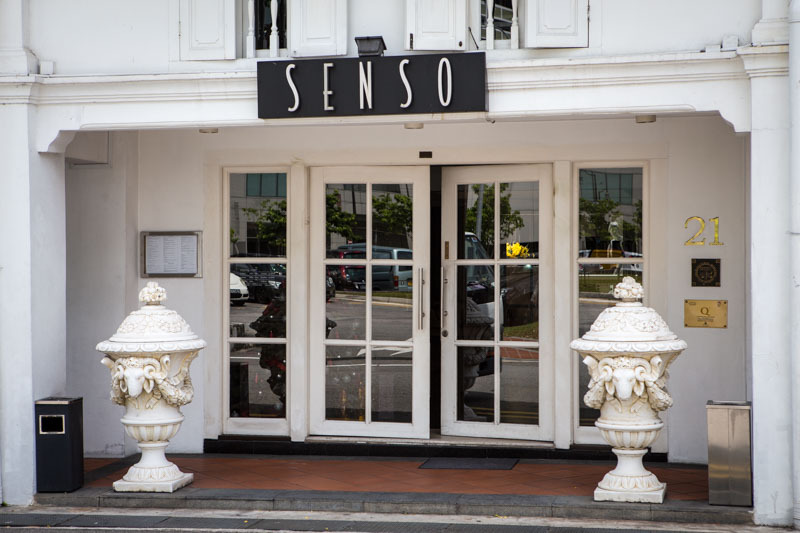 Senso Ristorante & Bar offers up to four venues in the restaurant itself, which can be catered according to your preference. Expected damage: Starting from $38++/pax – $138++/pax for Canapés, Set Meals, Buffet Menus. 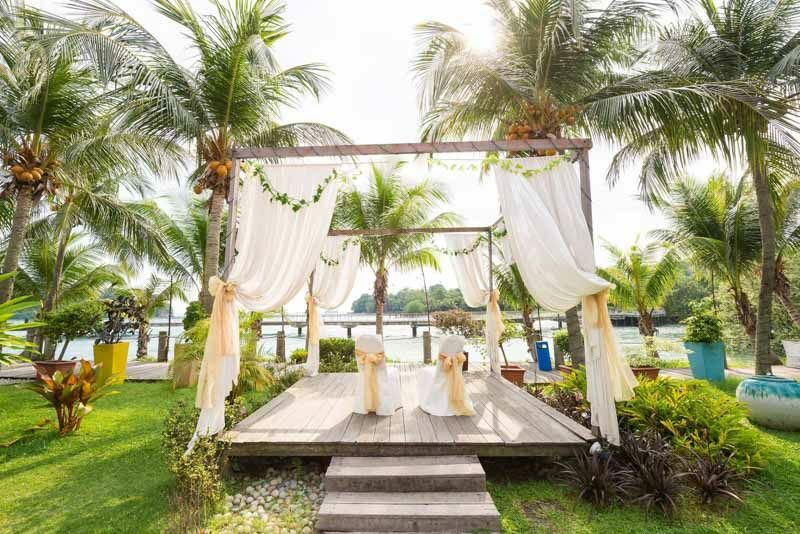 Sea Scent Restaurant at Keppel Club is a relaxing and romantic venue tucked away from the bustle of the city, where you can recite your wedding vows by the sea at sunset. Decked in a Santorini-inspired theme, the first floor of the restaurant has a capacity of 200 guest when seated, and 300 for a standing ceremony. Fret not if you’re looking to accommodate a larger group, the fourth floor, which is the rooftop fits up to 400 seated guests and 600 for a standing event. 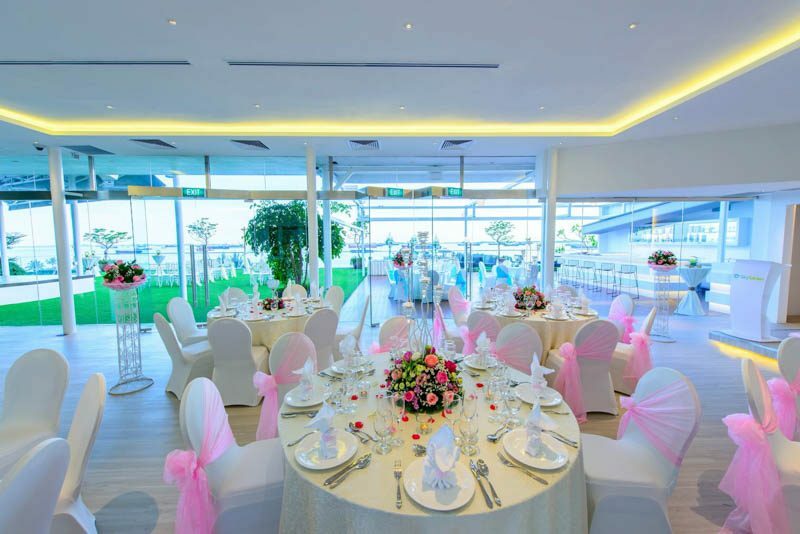 Sky Garden is located at the rooftop of iFly Singapore, perfect for brides who have always dreamed of a seaside wedding. 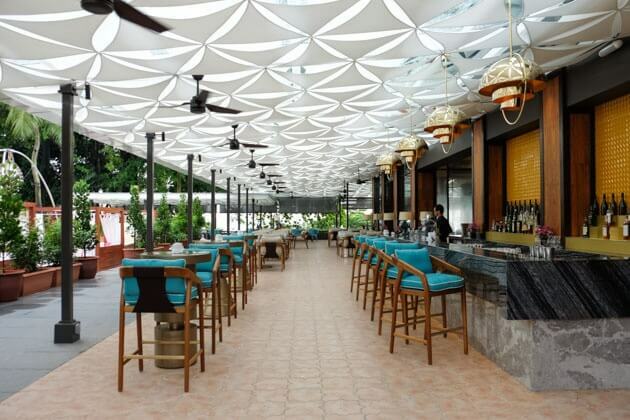 The outdoor garden terrace offers a terrific panoramic view of the South China Sea and a glimpse of the vibrant Sentosa island life. Catch the sunset to say your vows, or time your “I Do” when the fireworks come on from the Wings of Time show. 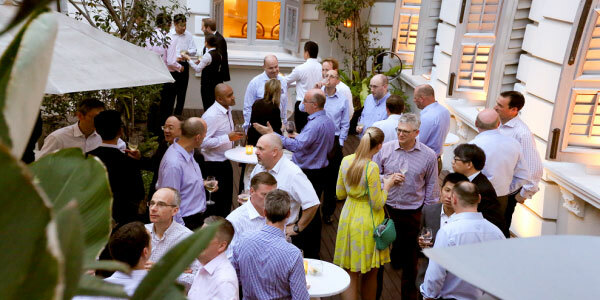 The entire venue is able to host up to 120 guests. 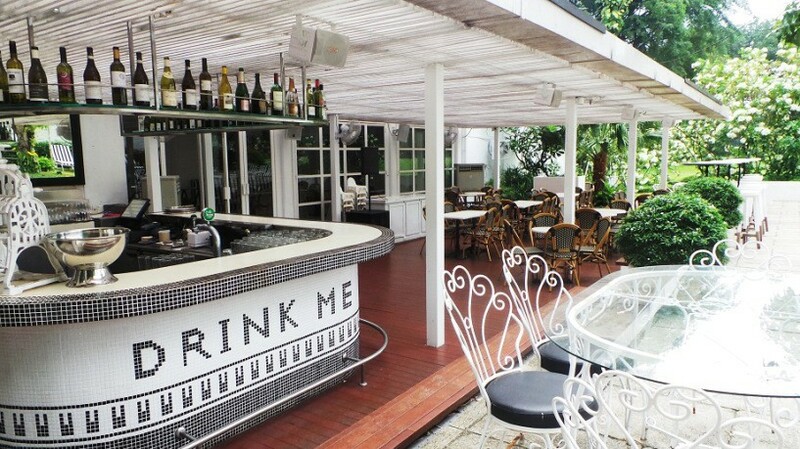 It also offers an al fresco bar area served as an extension to the garden to hang around for drinks and cocktails. The indoor space is deck in full panelled windows, allowing natural lights to flood in. I’d let you in on one more catch to the place: a spacious, thoughtfully designed bridal room! I love it when a venue puts in extra touches for their brides. The room is furnished with a dressing table and full length mirrors so that you could make the final touch ups for a perfect march-in, and chairs to rest those aching feet. Expected damage: Starting from $120++/pax for buffet menus. At Alkaff Mansion, every detail and decor is thoughtfully designed to recreate the lavishness and opulence of the European-styled mansion. Step into a venue with intricate retro floor tiles, retro furniture, grand chandeliers hanging from the ceilings. The interior is simply too impressive for words on a regular day, what’s more when you hold your wedding there. 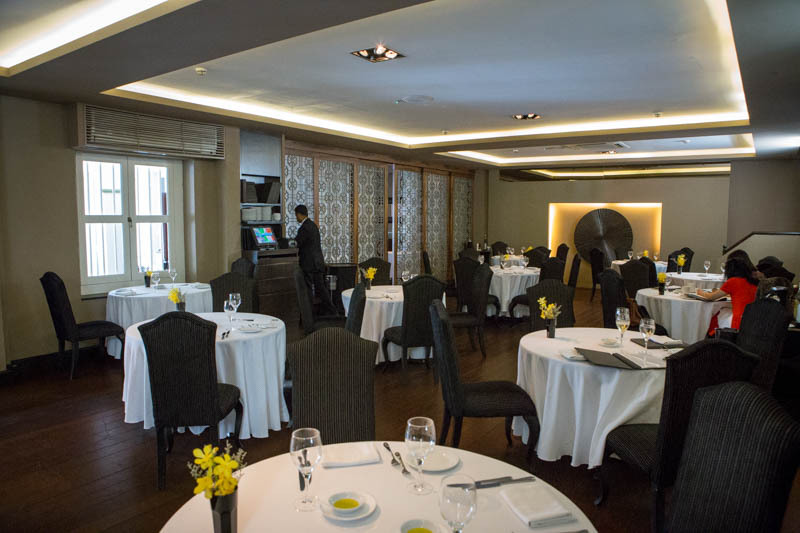 Ristorante Level One sits 60 persons and can host up to 100 guests for a standing event. You could also choose hold your wedding at the grand gazebo, or at the lawn for a garden wedding. Expected damage:TBA by the venue through enquiry. 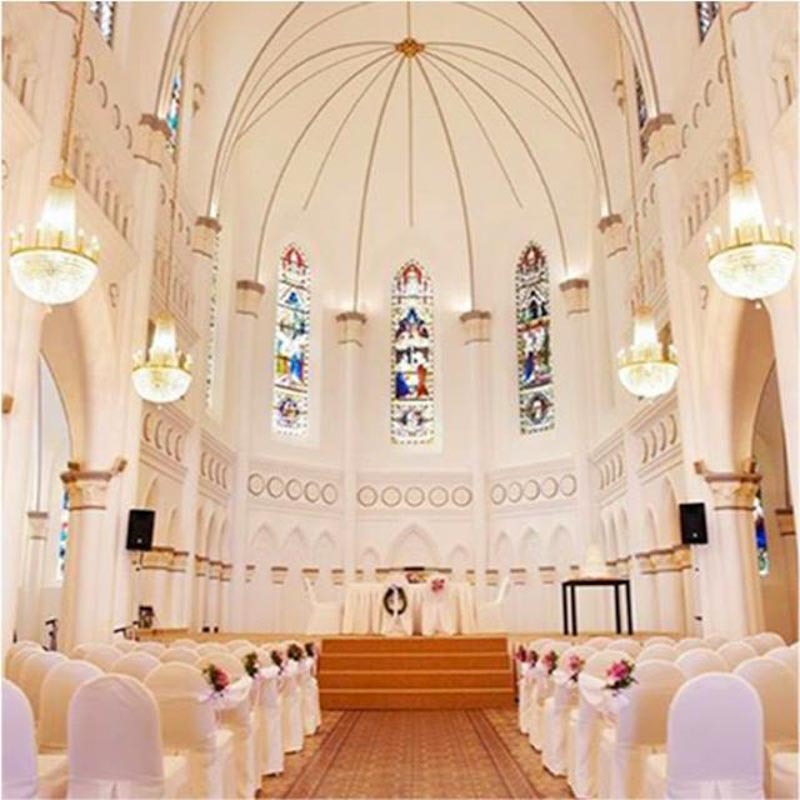 CHIJMES Hall is no stranger to the wedding scene, a choice venue for its Gothic-styled 19th century chapel, high ceiling, chandeliers, and painted glass windows. The hall sits up to 300 guests, and is often used for both ceremony and reception, which can be styled and catered according to the individual bride’s preference. 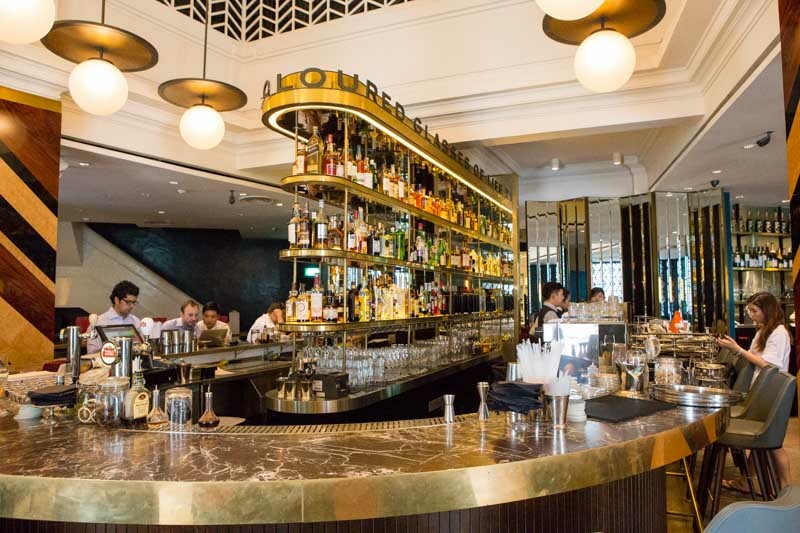 Situated within the National Museum of Singapore, Flutes manages to retain its classy, old colonial heritage with a mix of bronze and wooden furnishings. Exuding a quiet charm, the main dining hall requires minimal wedding touches as it is already glamorous on its own. 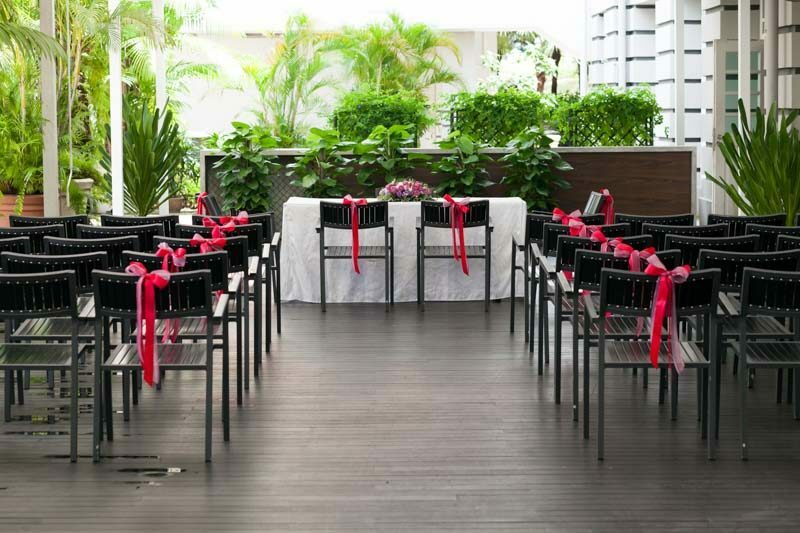 Couples could choose to hold their solemnisation at the Farquhar’s Terrace, the sheltered outdoor area just beside the restaurant, which can accommodate 40 persons. 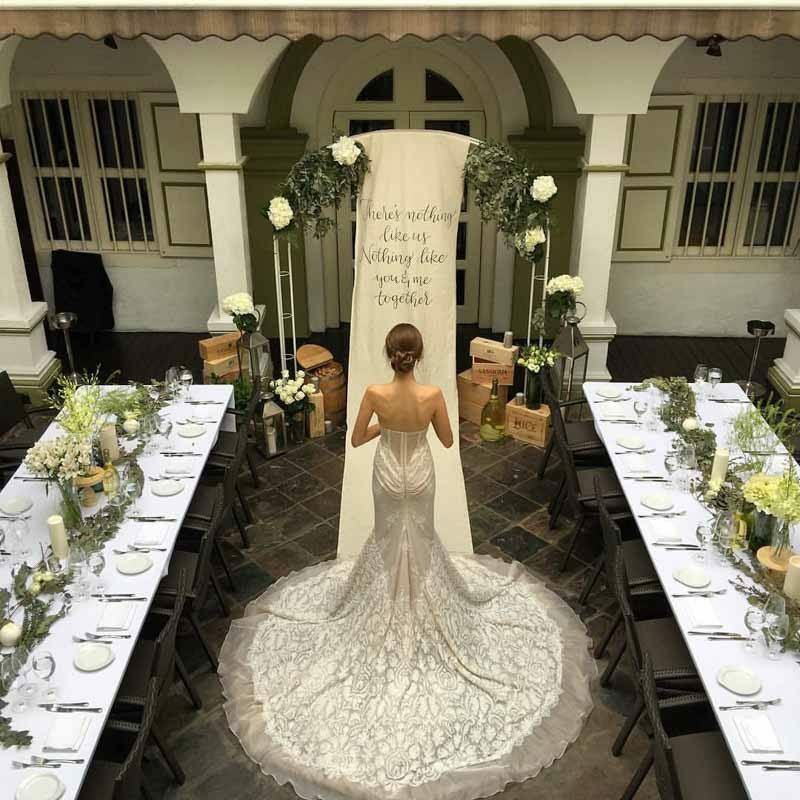 The entire venue has a maximum seating capacity for up to 150 persons, including the Jubilee Room, which is the main dining area; and Sir Henry McCallum Room a 30-seater private room. Flutes: National Museum of Singapore, 93 Stamford Road, #01-02, Singapore 178897 | Tel: 6338 8770 | Website | Facebook | Opening Hours: (Weekdays lunch) 1130am – 2pm, (Mon – Sat dinner) 630pm – 10pm & 1030pm on Sat. 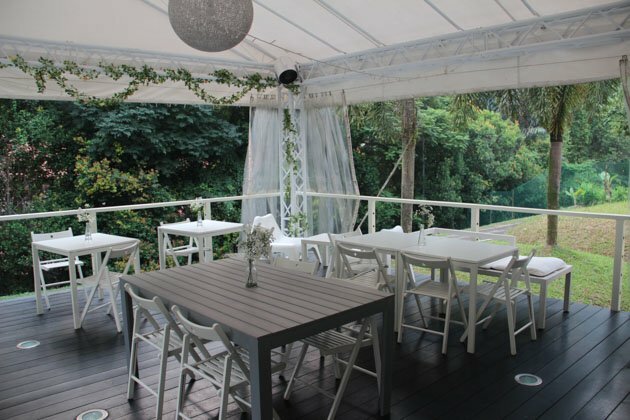 Hotel Fort Canning is a popular pick amongst couples for its wide selection of venues within the hotel. Simplistic, yet charming in its own beauty, The Salon’s alfresco section is a quiet hideaway from the premise. It is sheltered so brides can be assured that they don’t have to take the ceremony indoors even when it rains. Fairy-lights seem to work magic in me so when I saw that the ceiling has been generously decorated with them, I knew I had to include them into this list. 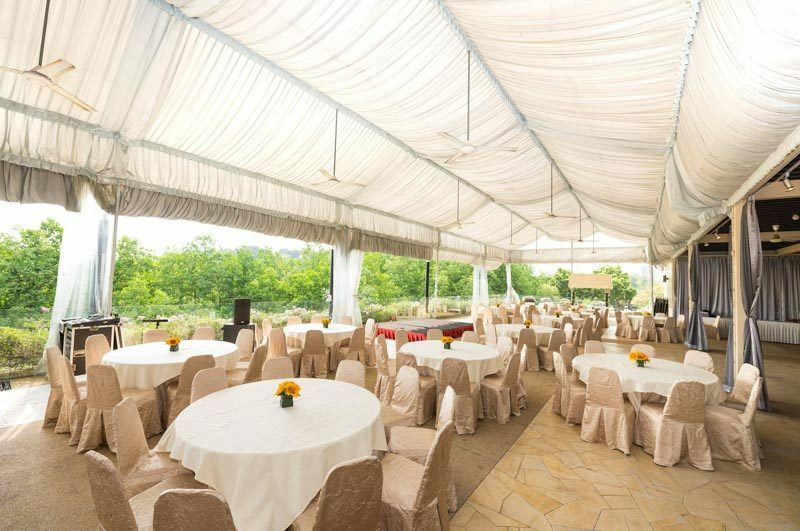 Expected damage: (for 40 persons) Hi-Tea Reception at S$ 2,488++, International Buffet Lunch at S$ 2,888++, International Buffet Dinner at S$ 3,288++. 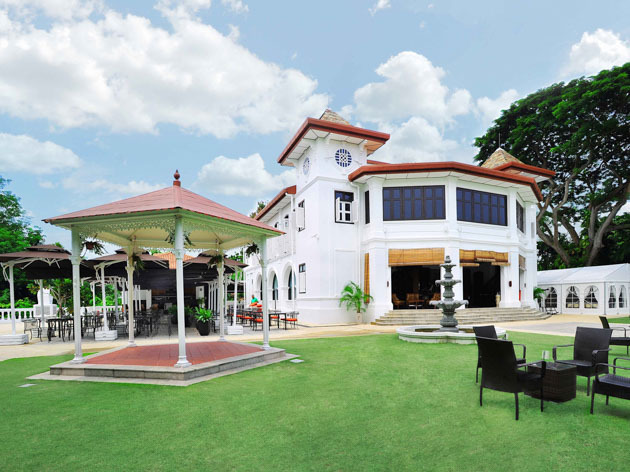 Surrounded by lush greenery amongst the historical beauty of Fort Canning Park, in the absence of metal and concrete of the city, lies the magnificent Lewin Terrace. 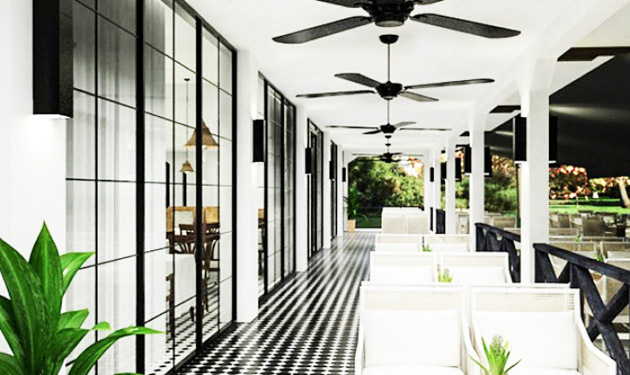 Poised in black and white with wooden flooring and a beautiful verandah, this Colonial-styled terrace house is a dream come through for history buffs. The interior boasts of elegance and class, with table set-ups fit for a stylish, sophisticated wedding. It can fit up to 80 persons seated, and 100 persons standing. You and your guests will be in for an impeccable Japanese-French fusion dining experience, while immersing in its full Japanese culture and service standards. The restaurant also comes with a bridal room, and a dedicated team to look after your wedding needs. Expected damage: TBA by the venue through enquiry. 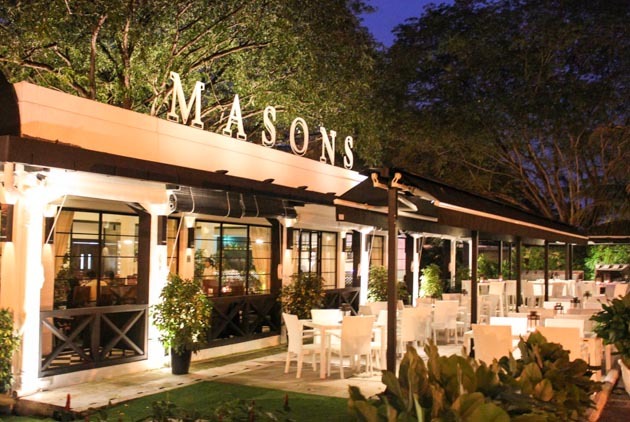 Masons is located within the beautiful and historic ground of Gillman Barracks. The venue lets you celebrate your lovely day in serenity and provides for a sweet escape from the humdrum of the city, amidst ample of greenery. The Main Dining Room can sit up to 64 guests, while the Verandah accommodates 24 guest, and Alfresco 54 guests. The place could easily be spruced up with a couple of balloons and streamers to complete the restaurant monochromatic theme. Expected damage: Starting from S$60++/guest for Set Menu, S$75++ for buffet menu. 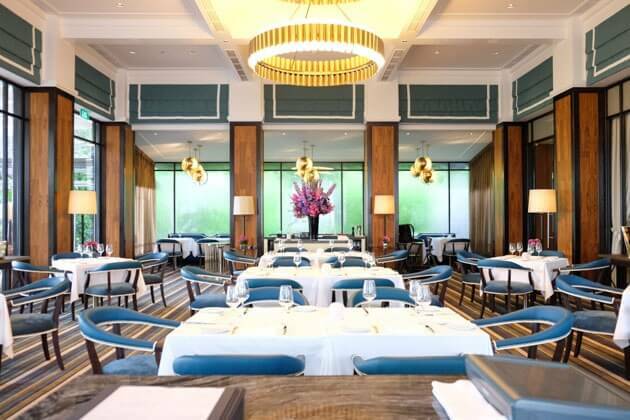 Situated on Bukit Manis Road, ilLido at the Cliff promises a quintessential Italian experience with great food and ambience. 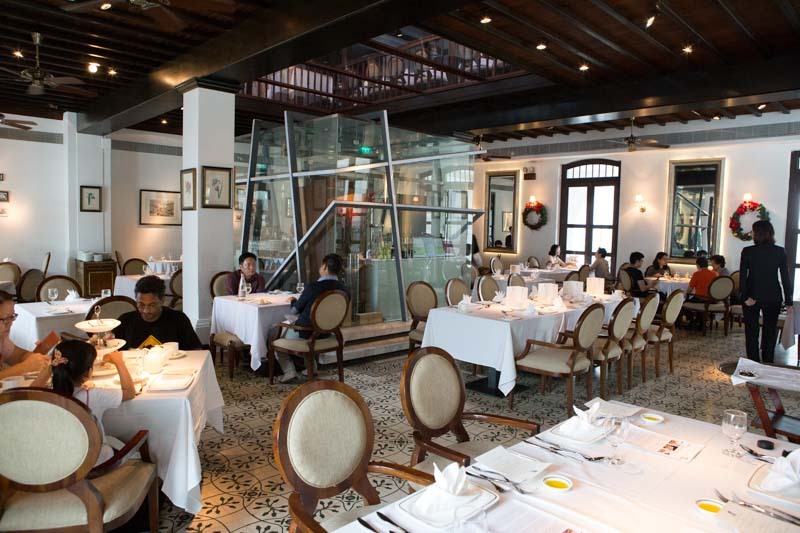 The restaurant can accommodate up to 180 guests. 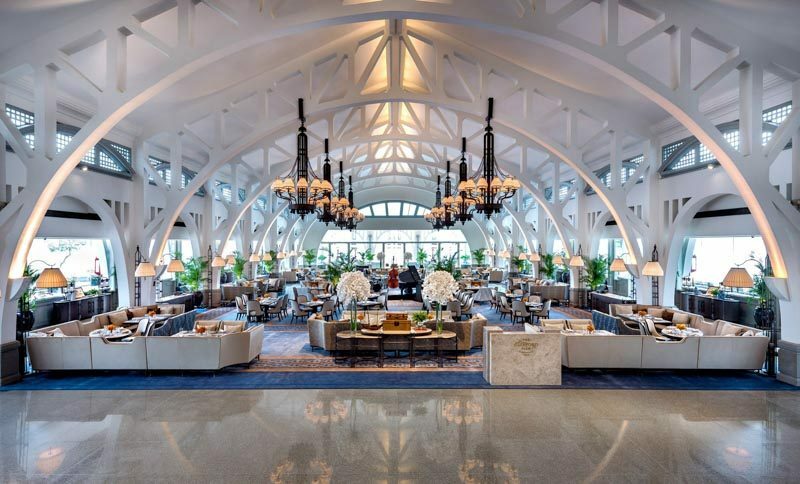 It is specially dressed in turquoise and white furnishing to complement the seaside dining experience by the scenic view of the South China Sea, making it extremely romantic. You could also use the elegant outdoor bar area for your solemnisation, which faces the breathtaking view of Sofitel’s luxurious pool. Perfect for couples that are planning for a pool side wedding. 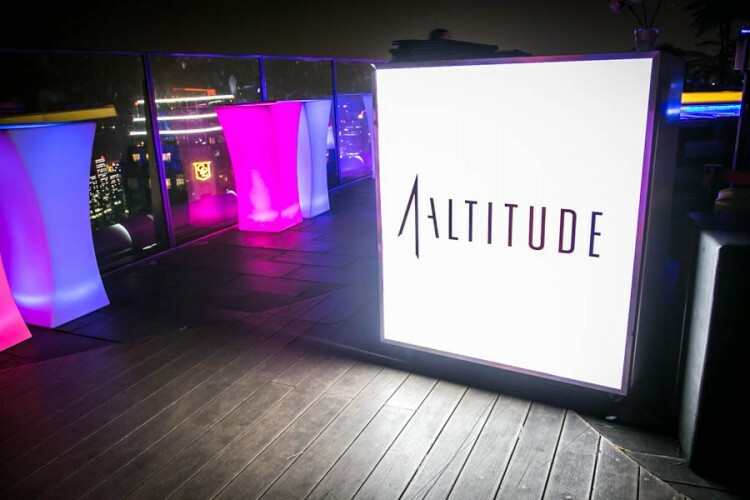 Located on level 63 of One Raffles Place, 1-Altitude Gallery and Bar is the world’s highest al fresco bar, not only known for Singapore’s drinking scene, but also to couples that desire a unique wedding experience. 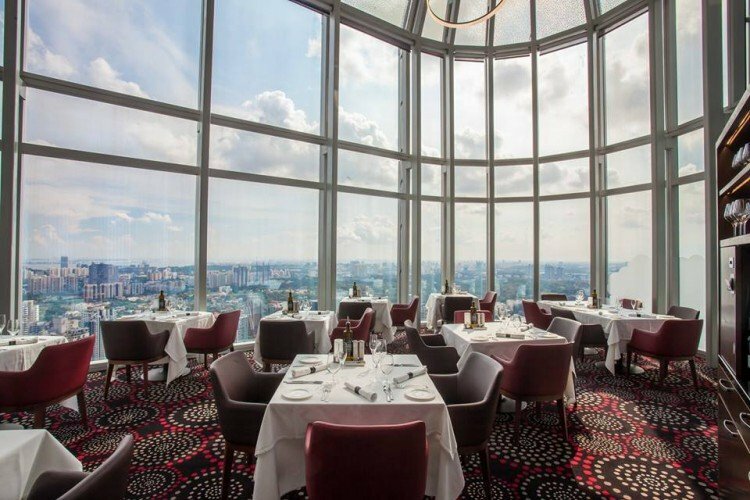 1-Altitude boasts a panoramic 360-degree view of Singapore, with seats around the edges of the top floor building, creating an exhilarating, once-in-a-lifetime experience when you exchange vows. The most ideal view period at 1-Altitude is probably during sundown, from 6pm to 8pm, for a full view of the cityscape while the sun ducks below the skyscrapers at that picturesque golden hour. And if you’re holding your wedding during the period of July and August, you could probably catch the fireworks from the National Day preview. Capacity and expected damage: TBA by the venue through enquiry. The outstanding view from Fullerton of the Marina Bay Sands is one of the highlights at Forlino. 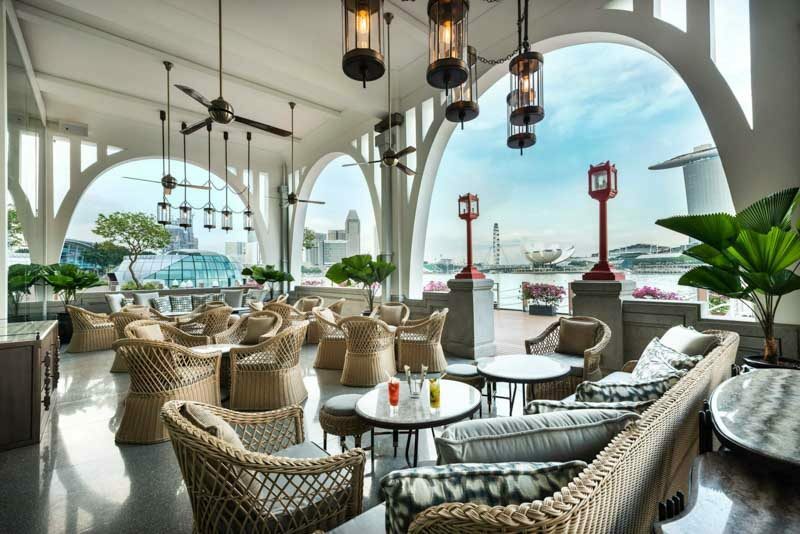 Located on the second floor of One Fullerton, the restaurant boasts a majestic panoramic view of the Marina bay. Couples can expect delectable contemporary Italian fine-dining cuisine served during their wedding, and be pampered with utmost attention to detail and customer service here. The main dining room sits 90 guests and 150 persons for a standing cocktail reception, the Serena room holds 22 seated guests, and the Gaia room 12 seated guests. Expected damage: Lunch and buffet packages starts from S$99++/guest, S$139++/guest for dinner set menu for minimum 50 guests. Sitting on 35,000sqft of green-land, Open Farm Community aims to unite local farmers and chefs, bringing the farm-to-table dining concept to the public. 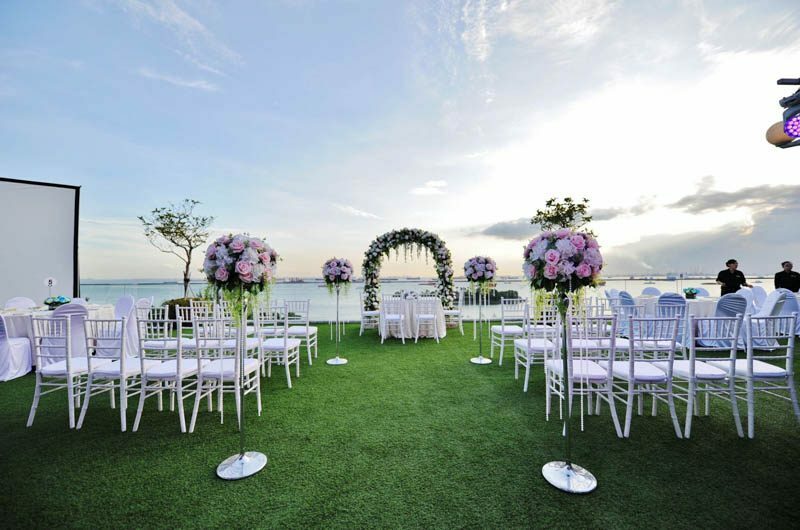 If you’re a couple with green fingers, this venue is the perfect spot to tie the knot. Open Farm Community boasts of an interior that looks like a glasshouse, allowing ample of light to illuminate the entire space, which instantaneously brightens up anyone who walks in. 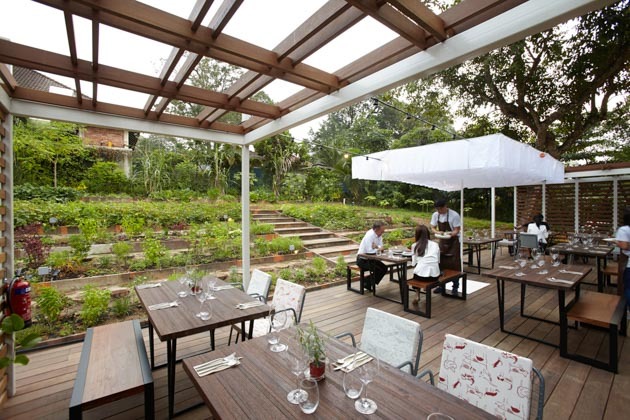 The cafe terrace is set within the spacious outdoor lawn, which is essentially an edible garden, with ready-to-eat crops like kale, herbs and other seasonal fruits. Encompassing a rustic ambience, it makes for a laid-back beautiful wedding location. It accommodates 80 standing at the cafe terrace, 70 seated at the indoor restaurant, and 38 seated guests for the outdoor deck. Expected damage: minimum exclusive usage from S$5,000 – S$13,000. 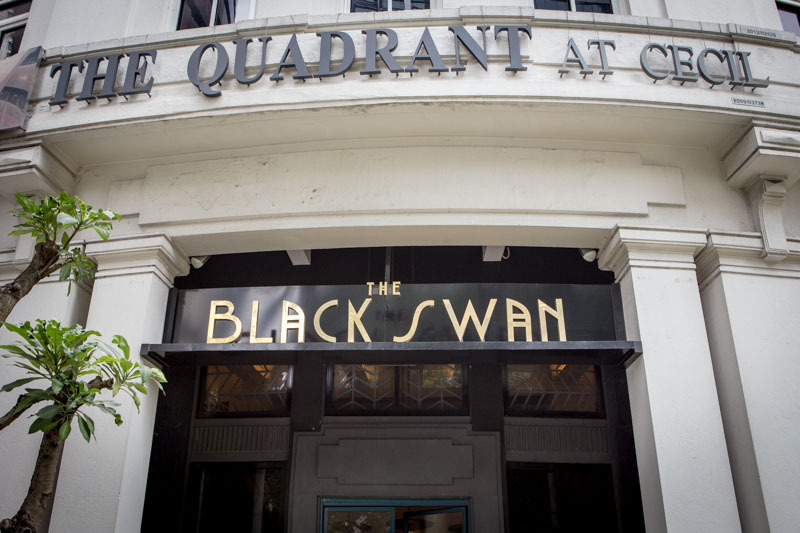 Not only is The Black Swan named after the rare financial phenomenon, but the Roaring-Twenties-themed bar was also the headquarters of the now-defunct Kwangtung Provincial Bank. 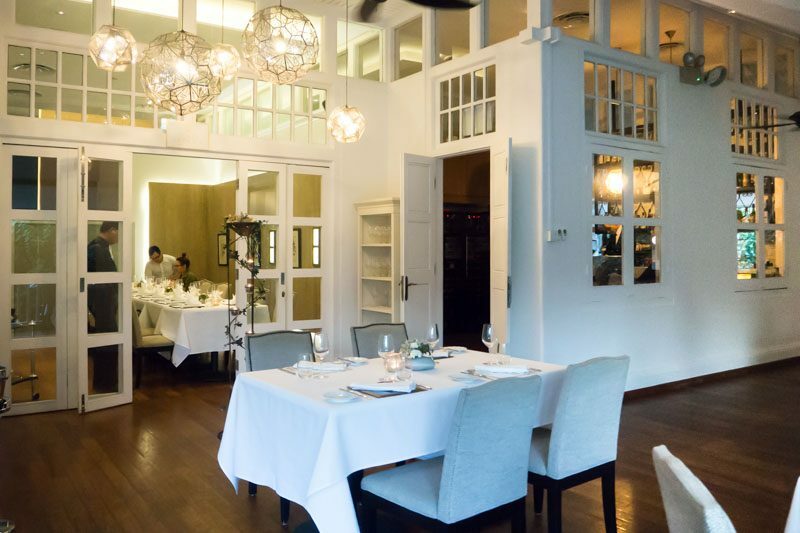 The double volume ceiling and basement vault have been retained and converted to a private dining chamber, available to guests with a minimum spend of S$1,500. The Black Swan still has traces of the 1920’s that linger deep in its premise, from the grandeur of the golden horseshoe-shaped bar, rose coloured furnishings to the low-hanging spherical brass lamps. If you’re a fan of The Great Gatsby film and novel, this place encompasses all that you need to throw a flamboyant themed wedding. The Black Swan holds 130 persons, 80 persons at The Powder Room and 12 guests at the Private Dining Room. 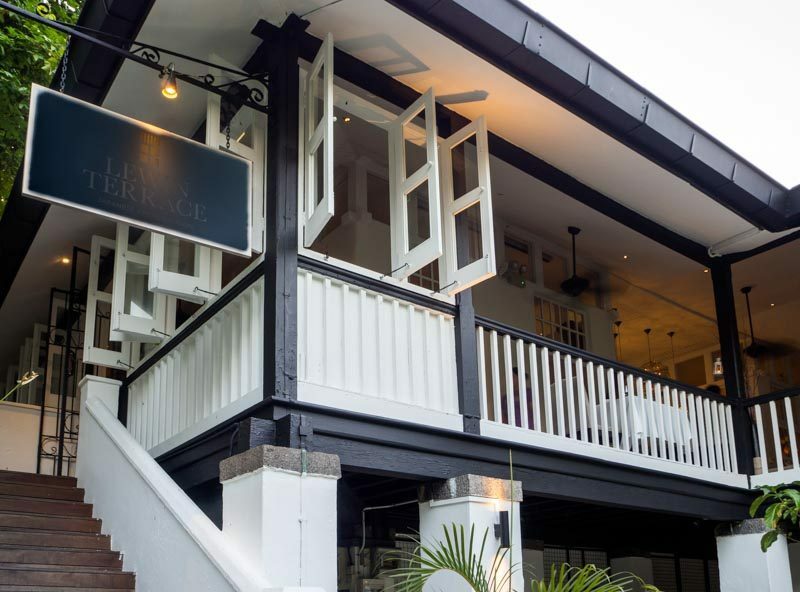 The White Rabbit is housed in a restored old chapel along the stretch of Dempsey Hill. 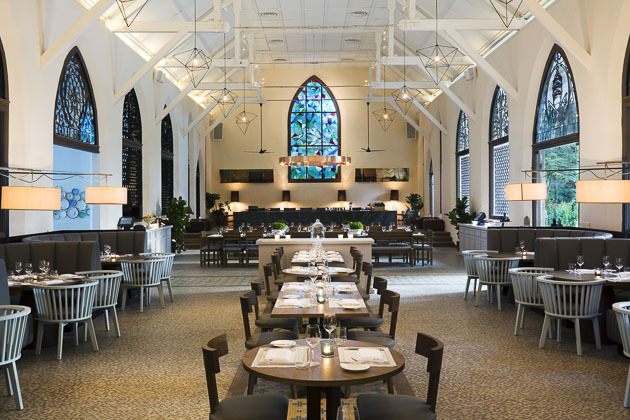 The high beams and stained glass windows were all remnants of the past, thoughtfully maintained to portray a unique charm of nostalgia from the chapel built in the 1930s colonial era. 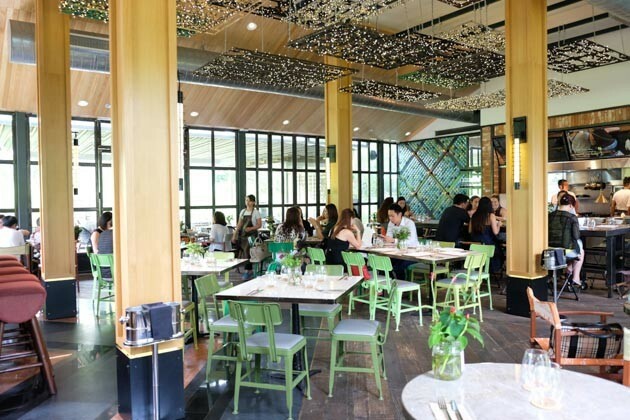 Step out of the restaurant and into a lush Parisian-styled al fresco area set in the quiet greens of Dempsey, which is based off the rabbit hole in Alice in Wonderland fable. Whether it is an intimate wedding dinner with loved ones, or throwing a truly magical ceremony, there is no place that matches the otherworldly elegance of The White Rabbit, which will fit 120 seated and 200 standing. Swoon over by its arched roof, the natural light flooding into the venue, and the perfectly symmetrical furnishings, I can hardly peel my eyes off the grandeur of The Clifford Pier’s architecture. It is simply breathtaking. The Main Dining Full area, seen in the picture above, can hold up to 250 persons for a banquet and 400 for reception. 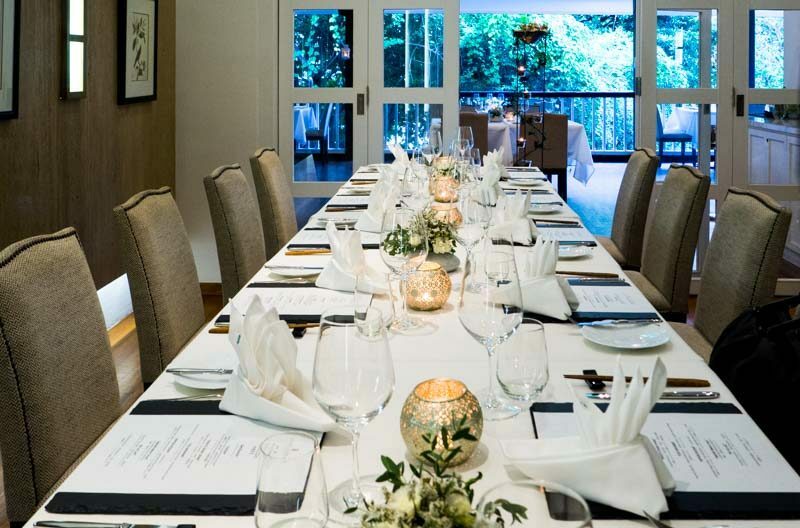 Take your joyous occasion outdoors to The Alfresco Deck that faces the Singapore River for a romantic ceremony, which sits 80 persons for a banquet and 120 persons for a reception. Expected damage: Starting from S$7,999++ – S$10,999++ for up to 50 pax. Ascend into the skies and sit on cloud nine as you recite your wedding vows at Salt Grill & Sky Bar. 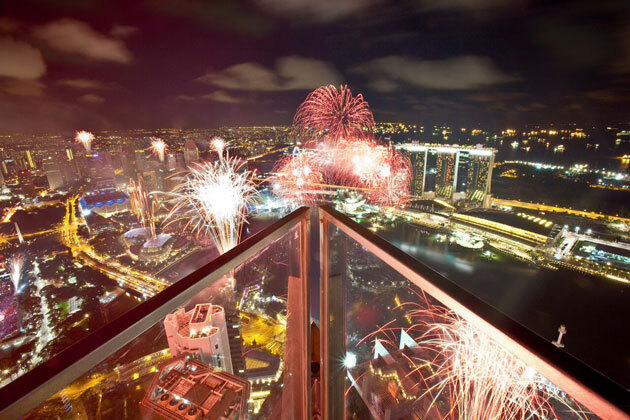 Located on the 56th floor of ION Orchard, Salt Grill has an unparalleled view of the entire Singapore cityscape. The large cage-like windows and decor sets the mood for an unforgettable romantic event, which will leave your guest talking about your big day over and over again. It sits 100 guests, and can hold up to 200 guests for a standing event.